This attractive stoneware stein has a pewter lid. 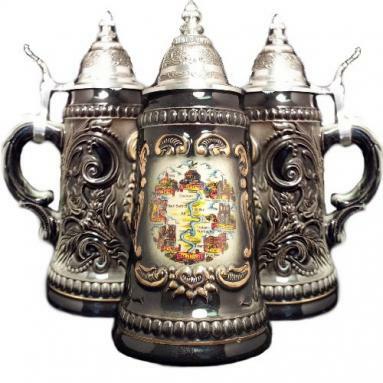 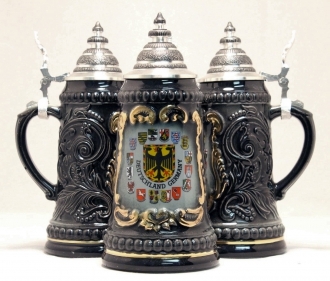 The handpainted stein features Deutschland Eagle crest on the front. 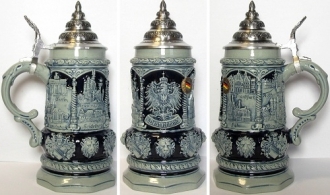 A castle is shown on one side and an Alpine mountain chalet is shown on the other side. 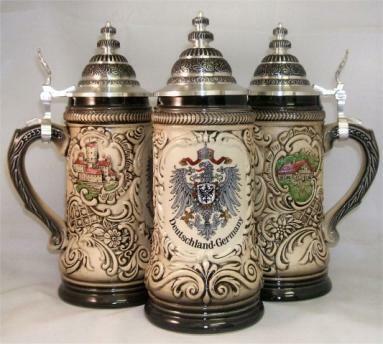 This .5 liter stein is about 10 inches tall.